This exquisitely designed European Manor home was built by Apex Custom Homes, who is ranked in the Top 100 Builders in America. With over 9000 finished square feet, no detail has been spared on this floor plan that is designed for entertaining. With a convenient first floor master, four additional bedrooms, four bathrooms, elegant powder room, library, grand salon, keeping room, hearth room, 1,000 bottle wine cellar with two Sub Zero wine refrigerators and gourmet kitchen with vaulted ceiling, this home is sure to impress. Nestled on one of the most desired elevated three acre lots (lottery lot) in Creighton Farms, the views are incredible. This home includes a French travertine patio, custom landscape package and programmable irrigation system with low voltage lighting. 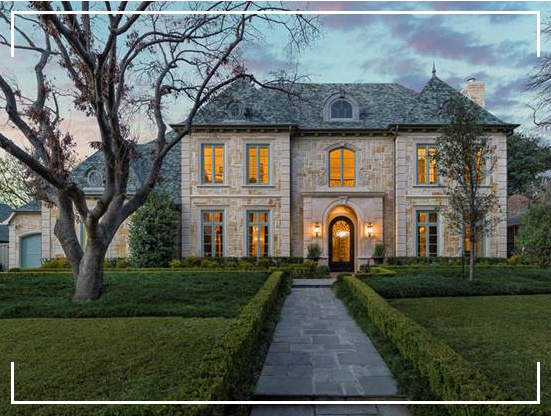 The extensive use of molding, custom cabinetry, marble, hardwood floors, chandeliers and old world luxurious charm make this grand estate a place you will want to call home.